RS Components (RS) has introduced the latest generation of respirator masks from 3M, a leader in safety and personal protection equipment. Suitable for use across a wide range of application environments including metalworking, carpentry, construction, pharmaceutical and automotive industries, the third generation of the 3M Aura respirator brings a number of improvements, combining new technologies with the latest in ergonomic design. 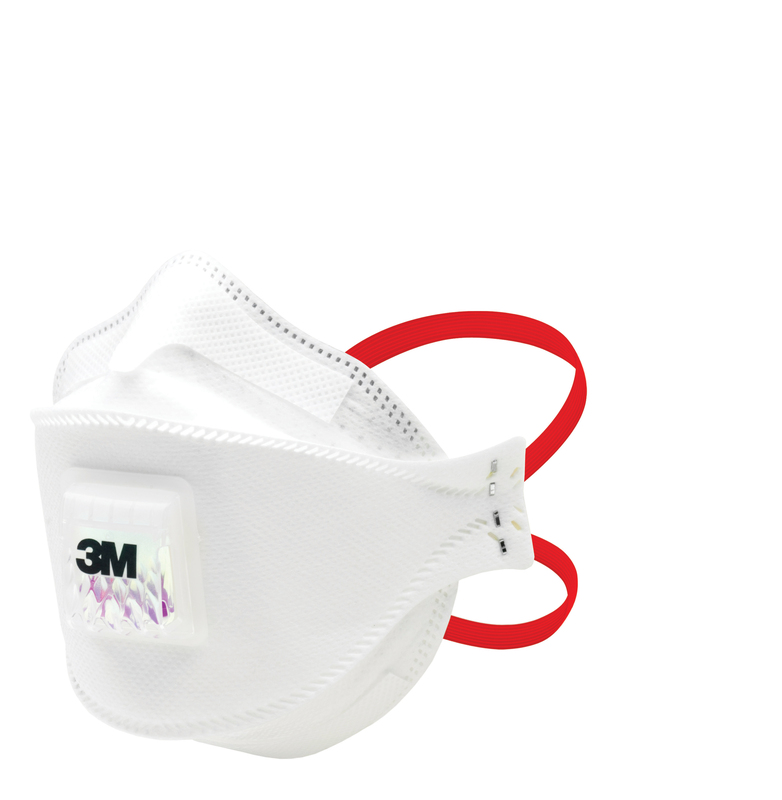 The 3M Aura Particulate Respirator 9300+Gen3 series retains all the features of its predecessor series, as well as enhancing it with the use of the vendor’s new Cool Flow Comfort Valve. This is an improved valve that offers easier opening and allows more exhaled breath to escape from the mask, thereby reducing heat and creating more comfort and breathability for the user. In fact, the new valve allows 36% more air, together with its natural heat, to be expelled more rapidly than the original 3M Cool Flow valve. The design of the 9300+Gen3 also makes the mask easier to put on, re-position and take off. This is achieved with the addition of new tabs on the upper and lower panels of the respirator, in combination with the grip feature on the valve. The products are also supplied with a thicker coverweb and noseclip. This helps to provide a good seal, as disposable respirators are only effective when there is a good seal between the user’s face and the edges of the respirator, otherwise contaminated air can leak in. In addition, the series adds more durable braided headbands for increased user comfort. These are colour coded for easy identification – yellow for FFP1, blue for FFP2 and red for FFP3 – enabling users to choose the appropriate mask to meet the required Assigned Protection Factor for the application. The third-generation mask retains 3M’s Advanced Electret Media (AEM) technology, which filters air with the help of electrostatic charges. Each fibre in the structure comes with a very high electrostatic charge, which efficiently draws particles from a wider capture area and secures them. This means fewer fibres are required to capture particles, enabling the construction of an effective filter with a significantly more open structure than conventional electret filters, thereby freeing up the passage of air. The mask also comes with the new 3M Safe GuardTM product authentication process, which enables users to perform an online confirmation that the mask is a genuine 3M manufactured product. The series is available in a range of variant types – with or without valves, for example. The 3M Aura Particulate Respirator 9300+Gen3 series is now shipping from RS in the EMEA and Asia Pacific regions.